One new, inert shotgun cartridge with birdshot in .410 calibre. These consist of plastic case, wad, cork filler and birdshot. The top is roll crimped and the top of the case is closed with a plastic disc. The shotgun cartridge is fitted with a fired primer and contains no propellant. The price is for ONE shotgun cartridge. 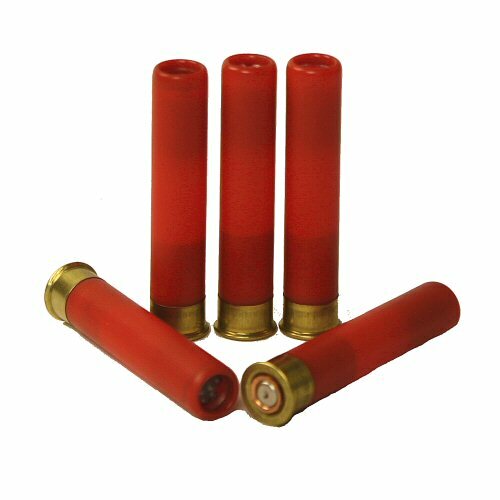 Shotgun shells may not ship internationally wit Royal Mail, but can be carried by UPS or DHL courier.